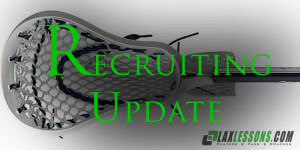 New Jersey power Bridgewater-Raritan’s on-the-field success continues to result in college commitments. The latest example of just that comes at the goaltender position, where junior Luke Konen has decided on Army. The 6-foot-2, 175-pound Konen, a righty, is a strong stopper who communicates well with the close defense. Konen is the Black Knights’ third 2015 tristate commit, joining LSM Danny DeSanti of St. Anthony’s (N.Y.) and attackman Sean O’Brien of Sachem North (N.Y.). Now, here’s a Q&A with Luke on his commitment. My aspiration was always to attend West Point and be active in the military. I consider myself very fortunate that lacrosse has opened this opportunity for me. After visiting West point and meeting with (Army Head) Coach (Joe) Alberici, his staff and some members of the team, I was confident that this was the direction I wanted to go. I also considered Mount St. Mary’s, NJIT and Holy Cross. My focus and intensity on and off the field. When on the field, I feel that communication with my teammates is essential. Our success on the field comes through knowing that we are working as a unit throughout every moment of the game. I am always looking to improve my game. This year, I am focusing on making my hands faster and improving my clearing game. My father, who played at Merrimack, introduced me to lacrosse at a young age. I have been around the game for as long as I can remember. Outside of lacrosse, I am a bowhunter and an avid fisherman. In the summers and fall I play for 2 Knights Lacrosse. We have attended tournaments such as Rutgers D-I Experience, Summer Slam and Hotbeds, among others. I have also attended Nike Blue Chip, Top 205 and Maverik Showtime, where I was an all-star last summer. I want to thank my family, Coach Apel, Coach Kurdyla and Coach Hamrah for guiding throughout the recruiting process.